I love a good competition, as they say, you've got to be in it to win it. 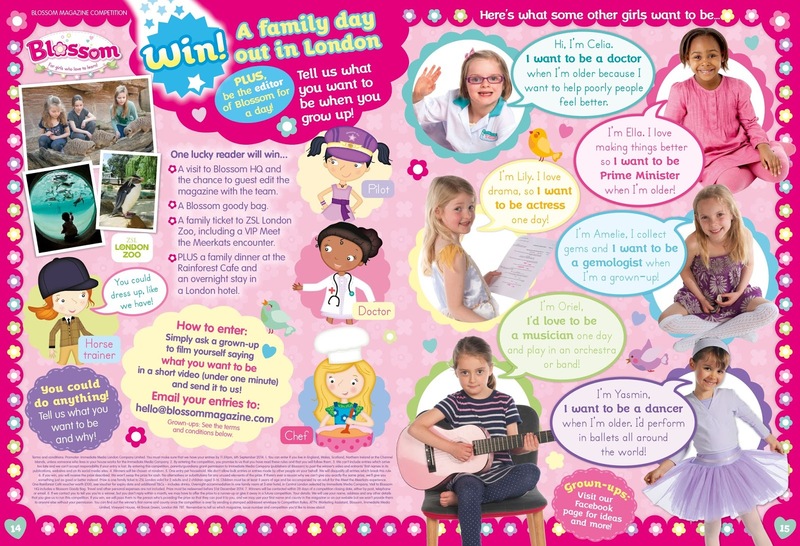 Well just this week Blossom, the magazine aimed at girls between the ages of 5-8, have launched a brand new competition. The #IWantToBe campaign is a fun way of finding out just what children want to be when they grow up. 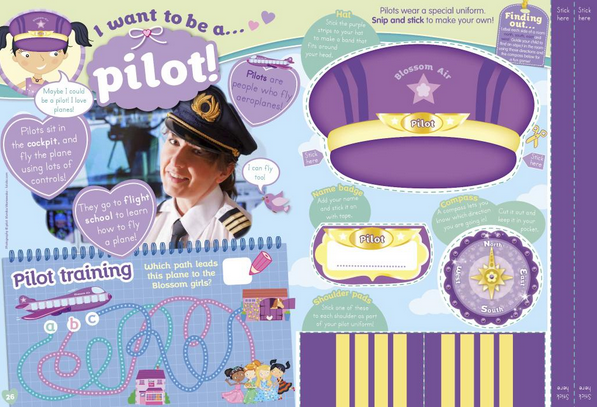 For the next few weeks Blossom Magazine will be featuring different aspirational careers to prove to girls that they can be whoever and whatever they want to be. Anything a man can do a woman can do too, right? Each reader is being encouraged to submit a video (with the help of parents) to hello@blossommagazine.co.uk showcasing what kind of thing they would like to be doing when they become an adult. * a visit to Blossom HQ plus a Blossom goody bag. Now that is one huge prize!!! Entrants have until the 6th September 2014 to send in their entries. The full terms and conditions can be found in the current issue of the magazine. Below is my eldest daughters entry into the competition. She has known from quite a young age just what she wants to be when she grows up and I truly admire her determination. Good luck to all of you who decide to enter. Disclaimer : I am being provided with a subscription to Blossom in exchange for this post however all thoughts and opinions are my own.